Natural tiles enhance the beauty of your home. They are widely used in modern home decor. But it does come along with its own set of cons. Sealing tiles can turn out tricky sometimes. There are several things you need to check while working on natural stone tiles. As they are natural, they have to be different. Some natural tiles are more porous than others. While others tend to stain easier while some remain intact. 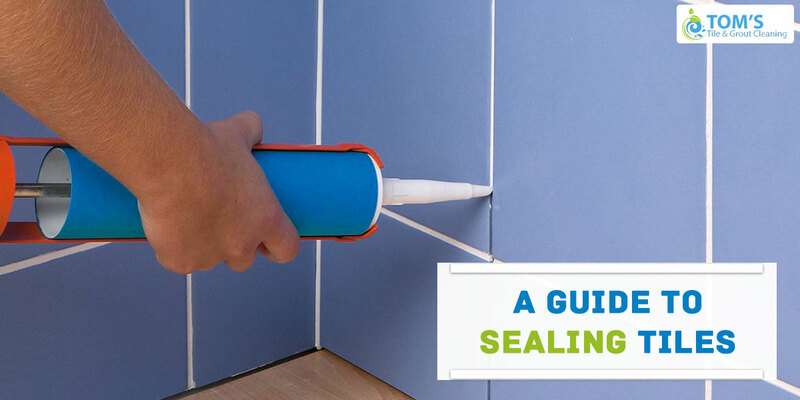 Thus when it comes to sealing, it is recommended you seal everything on the first application. Another thing, these tiles tend to be dusty. If the tools are too different in pattern and design you might be tempted to keep them aside. On the other hand, you might mix it get a different feeling. Porous tiles have the tendency of absorbing spills which stains the tiles. Natural tiles such as marbles, granite, slate etc are all porous. That’s why these tiles need to be sealed. Sealing tiles before the grouting process is recommended. There are many tile sealing service providers who have their own methods that work fine. On the other hand, you can seal the tiles yourself. Here are some points to remember. Before you begin tiling you need to remove dust by sponging it with cold water. Buff the tiles until you get a nice clear surface. Use a sealer to protect the tiles from grout stains. Generally two sealers are used – temporary and permanent. The advantage of the permanent sealer is that it does not alter the look of the tiles as they are mostly matte finishes. A surface sealer on the other hand has the tendency to alter the appearance of the stone. Surface sealers also give the tiles a wet look which is appealing to the customers. The temporary sealer is wiped off during grouting process. After you have sponged the residue you need to add a permanent sealer. Tile sealing is a very important process. Permanent sealer ensures no future stain on the tiles. A normal sealer, on the other hand, keeps the original color intact and protects the tiles. You should let the sealant sit on the tiles for 24 hours before you start grouting on tiles. You may apply another coat of sealing after grouting. Avoid sealing the grout in that case. A common way of sealing tiles is by spraying it on; others may prefer to mop it with a wool applicator. But it is unwise to use a roller. Contact your tile retailer and get the best sealant . For natural tiles, water-based , rather than petroleum-based sealant is recommended. Another option is to go for ceramic tiles but that will not give the kind of look natural tiles give. There are tile sealing service providers in Melbourne whom you can hire if you are not confident to finish the job. They are professional and you need not worry about the cleaning and preparation job.